Sioux Falls Therapist: Dianne Heynen - Therapist 57105. Send A Message To Dianne. Session Fees: Most insurances accepted. Sliding Fee Scale offered to non-insured. Dr. Dianne S. Heynen, DMIN, LPC-MH, BCPCC, QMHP, CEAP is a Licensed Professional Counselor–Mental Health (LPC-MH) and a Board Certified Professional Christian Counselor (BCPCC). She also is certified as a Qualified Mental Health Professional (QMHP) and as a Certified Employee Assistance Professional (CEAP). Dianne earned her Doctorate in Ministry (DMin) in counseling through Sioux Falls Seminary and Master's degree (MS) in counseling at South Dakota State University. Dianne has been practicing counseling in the Sioux Falls community since 1995. She is the founder of Sozo Counseling Care, Inc. She counsels individuals, couples, and groups from 18 to 99. She also offers educational workshops, professional training & development, and retreats. 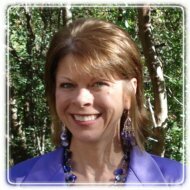 Dianne uses an integrated Mind-Body-Spirit approach to help you heal from past hurts, overcome today's struggles, and develop healthy tools and skills for resolving future challenges. The results empower you to live life with more peace, joy, and sense of purpose. To meet clients' needs, Dianne also has specialized training in Eye Movement Desensitization & Reprocessing (EMDR), cognitive-behavioral therapy, and variety of inner healing methods. You may learn more about Dianne and her practice at Sozo Counseling Care at her website: SozoCounselingCare.com.